(BOWIE, Md.) 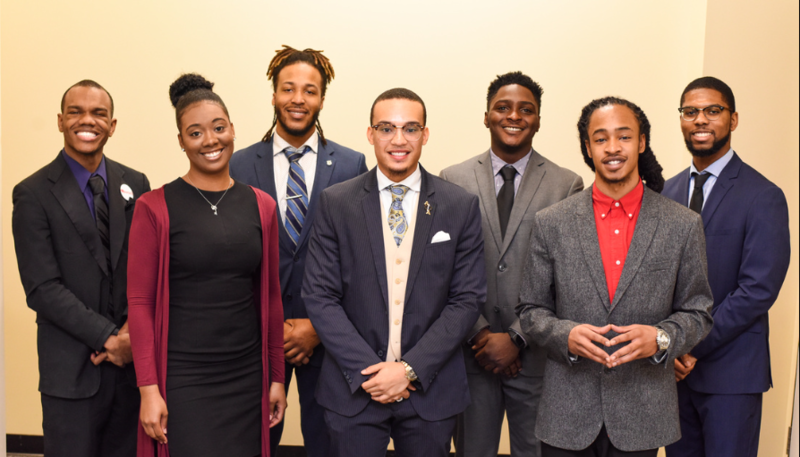 – A Bowie State University student entrepreneur, who developed an idea for a mobile app to enable relatives of the elderly to respond quickly in case of a medical emergency was one of four top students, plus three finalists, awarded more than $5,000 in cash prizes and business-related services last week in the Idea Competition, hosted by the BSU Entrepreneurship Academy. 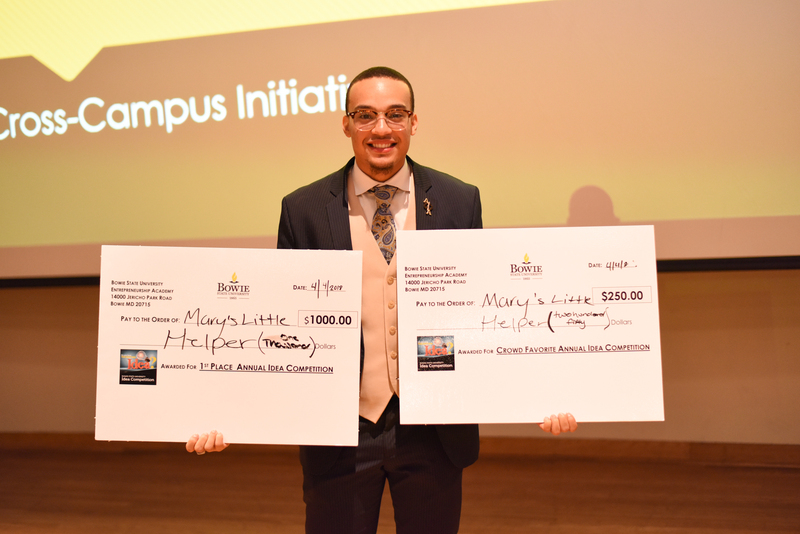 Junior business administration major DeRonte Craig took the $1,000 first-place prize for his mobile app idea, as well as the $250 crowd favorite award. Senior communications major Kevin Stovall Jr. won second place and $750 for his idea for a marketing and technology firm for business owners. Junior business administration majors Maris Screen and Richard Foster teamed up to pitch an idea for a full-service laundry business and received the $250 third-place prize. The three remaining finalists – Michaelangelo Hayes, Akili Smith and Na’Quon Willet – took home $150 each. The six finalists competed before a live audience and a panel of five expert judges: Alphonso N. Pearson of Maryland Region SunTrust Bank; Angela Singletary of the Maryland Technology Development Corporation; Jim Coleman of the Prince George’s County Economic Development Corporation; Dawn R. Medley of FSC First; and Dr. Tommie M. Thompson of Bazilio Cobb Associates. In addition to the cash prizes, eight local companies will provide free business services, including marketing, accounting and legal assistance. The event’s sponsors included TEDCO, Dr. Thompson of Bazilio Cobb Associates and the Prince George’s County Economic Development Corporation.